IBM Watson is a cognitive system that helps do business, make weather forecast, invent unusual recipes of dishes, or treat people medically. In fact, the range of service application is much wider than mentioned above but we would like to focus on healthcare in this article. 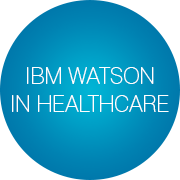 So, Watson is gradually becoming a right hand for healthcare professionals and patients. But all this is pale in comparison with what Watson can do with public health services in the near future. Like what? Let us imagine everything presented below; moreover, let us not just indulge in fantasies for a while: all that is realistic and will probably be brought into effect in the near future. IBM Watson may become a smart assistant to the patient who is applying to the hospital. It will not be a bot similar to those used by banks and other organizations in order to create the digital ‘first communication line’ with clients. Thanks to IBM services that help a computer recognize and process voice requests, the system ‘understands’ well what it is told and can answer the questions of the patients who apply without any problems. Possibly, these questions are as follows: ‘What doctor to see at the surgery’, ‘Is there a vacant parking lot’, ‘Tell me in detail about a particular disease’. Watson is currently performing the duties of a digital concierge at Alder Hey Children’s Hospital in Liverpool. Doctors want to teach the system relatively soon to consult children concerning their diagnoses and oncoming procedures. Providing a consulting physician with detailed and pertinent information on a patient. One of the key points in public health services is a massive amount of information on diseases and medical experiments. An ordinary human is unable to be at ease with such informational space no matter how highly qualified they may be. For a powerful computer system like IBM Watson, analysis of the enormous aggregation of information is not a problem. ‘If you look for the information on a disease, you should study up on the internet to get an objective aspect of disease,’ says a participant of IBM Watson project. A human or an ordinary computer system may plainly lack time to analyze data, but IBM Watson is capable of giving a helping hand. The cognitive system will provide links to the sources of necessary information as well as highlight the key points for the doctor not to waste time. Apart from publications, Watson can analyze other data types. For example, it can process the data on mapping the human genome in order to search for the patient-specific treatment modality. More high-quality medical treatment. This point is a logical consequence of the previous one. We can cite Watson for Oncology as an example that helps find individual therapy for an oncology patient. Normally, an oncology patient should see their consulting medical doctor. The latter looks through the medical case history either in print or digital format. Evidently, a healthcare professional may simply lack time to go into the medical ‘biography’ of their patient. For this very reason, the assigned therapy may be insufficient and fragmented. 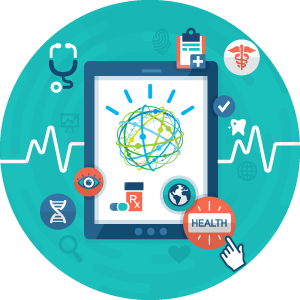 IBM Watson takes all these unstructured notes and analyzes them presenting them in a structured fashion that is convenient both for medical doctors and for patients. It is clear instantaneously from the accurate medical case history what therapy is worth advising the patient to fight the disease. The most interesting thing is that IBM Watson will also show inappropriate medical treatment (medical case history, place of residence, etc.). Creating effective medical products. IBM Watson may help create new medical products by accelerating the product development process. For instance, the ordinary method of creating a new medical product from scratch will take manufacturers about 12 years. IBM Watson can raise the chances of getting an effective pharmaceutical drug by simultaneously reducing the time of its commercialization. Business of creating new pharmaceutical drugs is in progress. For example, specialists from IBM Research have developed a macromolecule, an organic compound that allows fighting viruses resistant to antivirals. The molecule has been developed by a joint team of IBM Research and the Institute of Bioengineering and Nanotechnology from Singapore. A new macromolecule contains three components that can inhibit viruses. One component uses electrostatic bonds to eliminate virus infectivity. In this case, a virus is unable to infect civilized cells. The second tool helps change pH of infected cells, which makes the process of viral replication more complicated. And finally, the molecule contains mannose, an isomer of glucose that gets into civilized cells of the immune system and provides a more effective way of fighting viruses with a focus on anti-infective activity. Watson simultaneously helps reduce drug resistance of malignant cells. Quality health services and medical treatment at home. Patients, including seriously ill ones, return home after recovery. But it is more difficult for a medical doctor to conduct monitoring of the patient’s physical condition there. Therefore, it would be a logical decision to organize close follow-up of the patients who recovered after a serious illness and IBM Watson can monitor the patient’s pharmaceutical treatment. IBM Watson keeps track of the therapy results during all the stages of treatment and in case the problems arise, it may recommend new therapy. Modern smart devices help the cognitive system see to the patient’s body. For example, they are fitness trackers, heart rate monitors, smart scales, etc. If the problems are discovered, the system will collect all the necessary data and send it to the medical doctor who will make a decision on a particular issue. Currently, IBM Watson is gradually creating new medical products as well as keeping track of the suitability of old ones. The cognitive system is getting smarter, which means that the time is around the corner when home electronic systems will be able not only monitor the physical condition of the people they care about but also provide them if necessary with appropriate treatment (with client-centered approach). All that should reduce the number of misdiagnoses, improve treatment efficacy and raise the chances of recovery even for seriously ill patients.